Presenting a foot tapping title track of Raanjhanaa sung by Jaswinder Singh & Shiraz Uppal. Dance along to the tunes of this song featuring Dhanush & Sonam Kapoor. 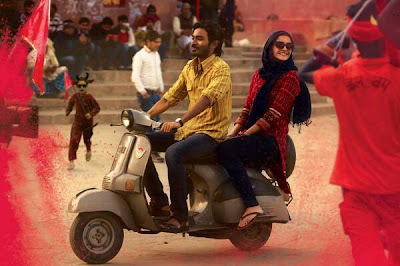 Eros International presents 'Raanjhanaa' and Aanand L. Rai directorial film featuring Sonam Kapoor & Dhanush in lead roles. The film is produced by Krishika Lulla & is all set to release in theatres on 21st June, 2013.